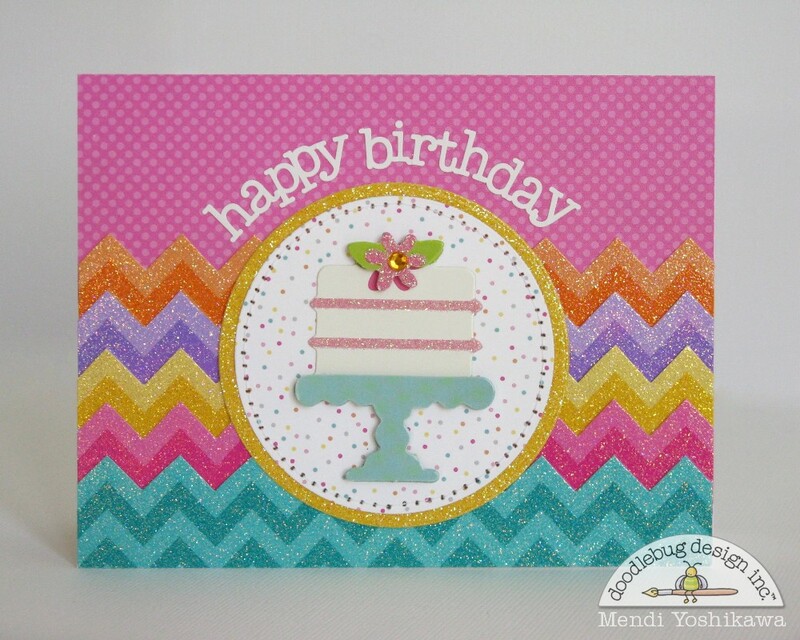 It's Mendi here today and I'm super excited to be sharing some cards today that came out of recent play date I had with Doodlebug's new chevron sugar coated cardstock! Up first I have a tone-on-tone silver and lily white wedding card. I love how Doodlebug products can be elegant as well as cute. 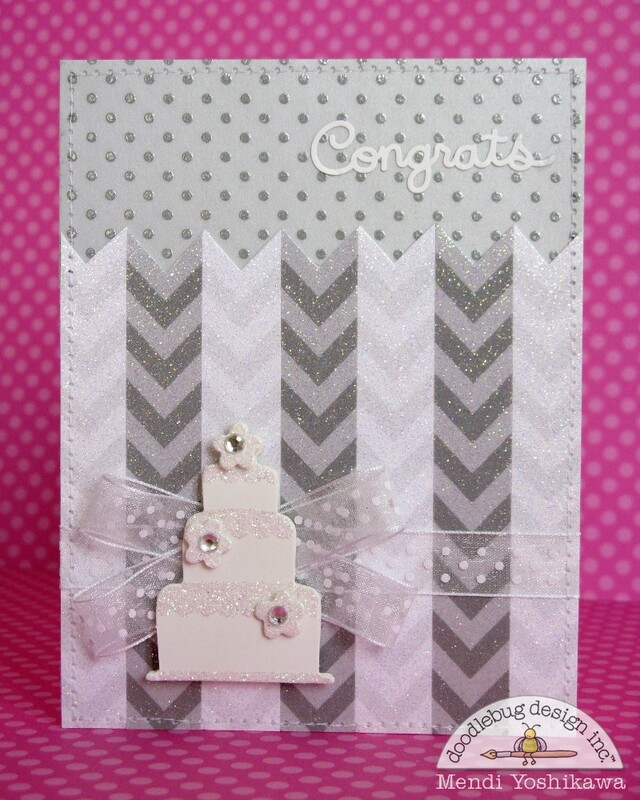 For this card I cut my chevron cardstock into arrow like strips and then lined them up so the chevron carried across the card. I added a little sprinkles vellum, a Congrats sticker and a Wedding Cake Doodle Pop and this card was done. Super easy! Up next I have a card cutting the chevron the other direction. This might look intimidating, but it was actually quite simple. I didn't want to to mess with lining up my cuts on both sides so I only cut one edge from each color and left a little extra with a straight edge to go under the row below it. And my secret to cutting the chevron edge quickly? I used my trimmer to cut close to the peek of the chevron stripe (careful not to clip off the tip) and then took my scissors and cut all the marks to the left and then again to the right until all the little triangle V's were removed. This chevron sugar coated cardstock is even more fun than I realized and I'm so glad I had some time to play with it and give it the full attention it deserves. 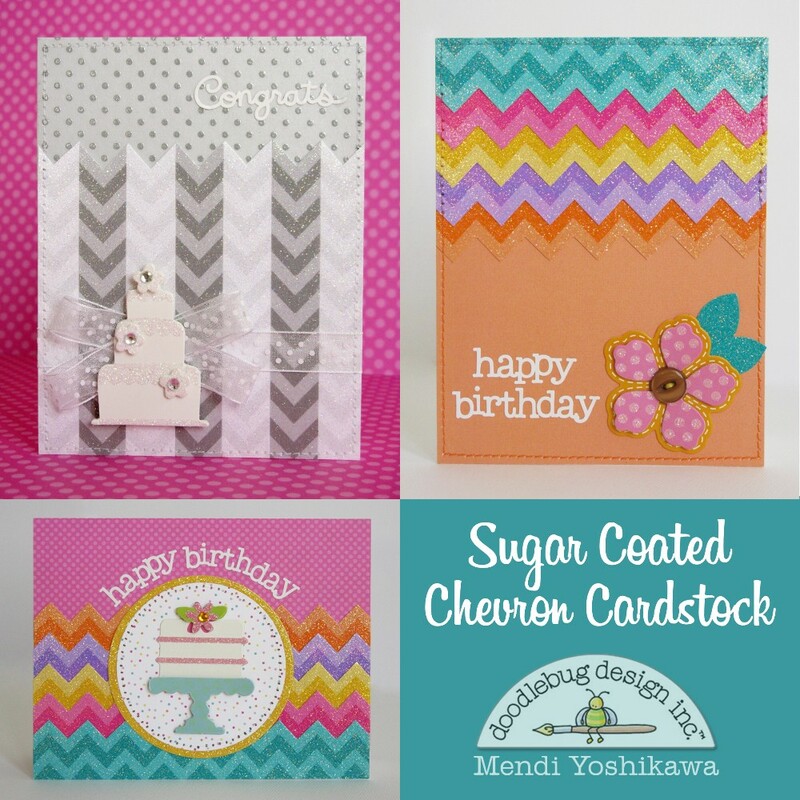 The chevron sugar coated card stock looks like am awesome product! I tried the vellum and I love it, I will sure to love this card stock! LOVE LOVE LOVE your DELIGHTFUL sparkly chevron and BEAUTIFUL spotted vellum combos - WOW - I think I NEED a rainbow of BOTH!!! Fun fun fun, love that new stuff. 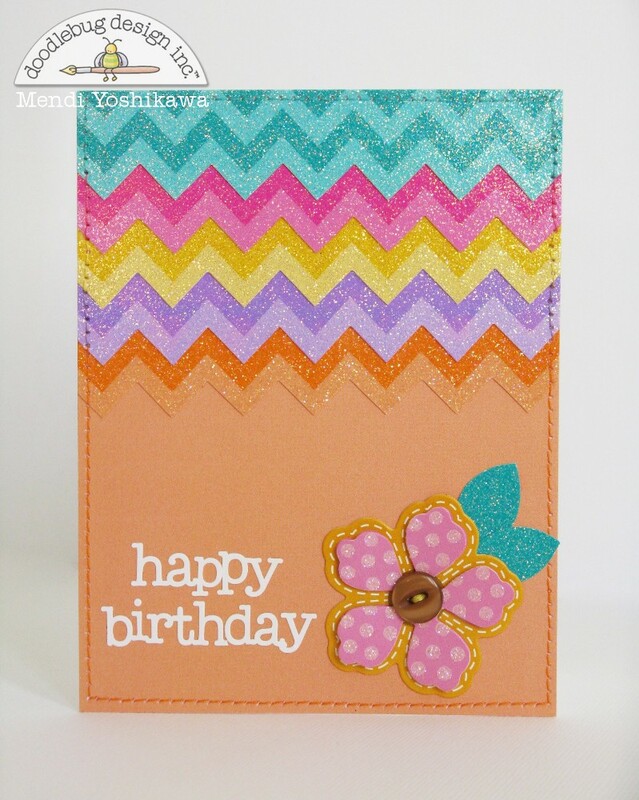 Mendi totally rocked this Chevron sugar coated cardstock!! Love the colors and the designs of her cards!! She is brilliant and Doodlebug is my FAVORITE!!!! This is absolute beautiful card and you did a great job with the design.